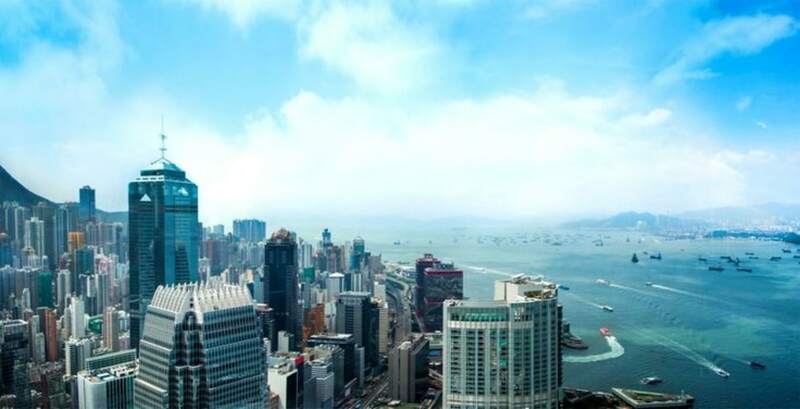 There are several places where you can admire Hong Kong from high up, and these three buildings offer free alternatives to the expensive observation decks. ::: tip This is Part 4 (of 4) of the Hong Kong Contemporary Architecture Guide. 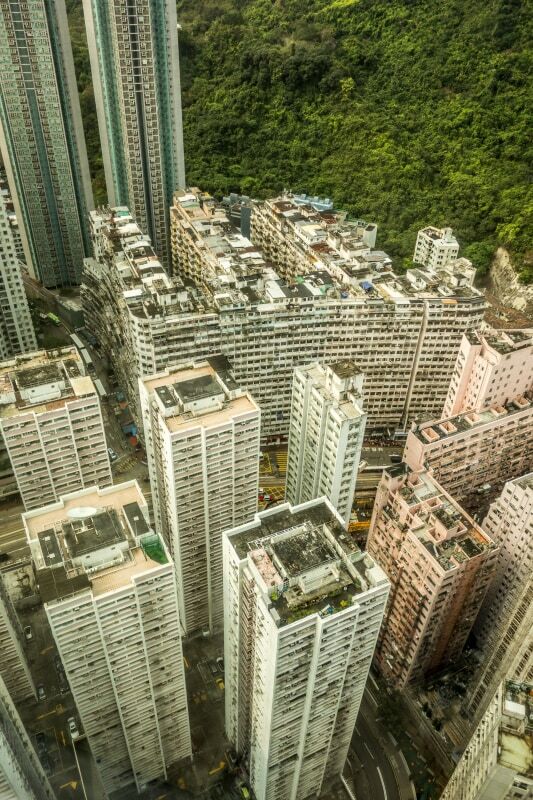 Hong Kong’s geography allows for many exciting viewpoints from which to appreciate the city. You can go up the Victoria Peak and catch one of the most popular Hong Kong panoramas: the jungle below giving way to tall and lean high rises leading to the Bay, across which Kowloon extends north until the Lion Rock mountains. In Kowloon, you can watch the Island across the Bay light up at night fall, or the skyscraper tips disappear in the fog. 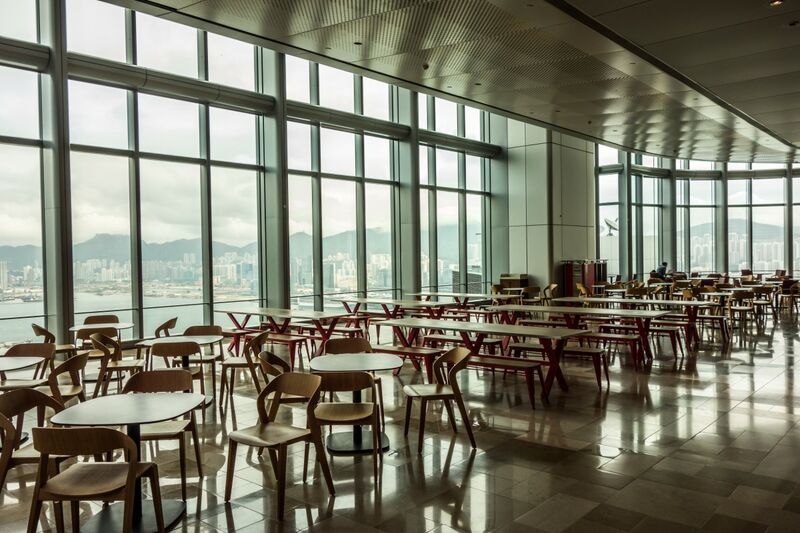 You can also cash out HKD 168 and go up the Sky 100 in the ICC Tower in Kowloon West. Up there, you can sip some very expensive drinks at the Ozone Bar (supposedly the world’s tallest), or watch the Bay from the 100th-floor observation deck. 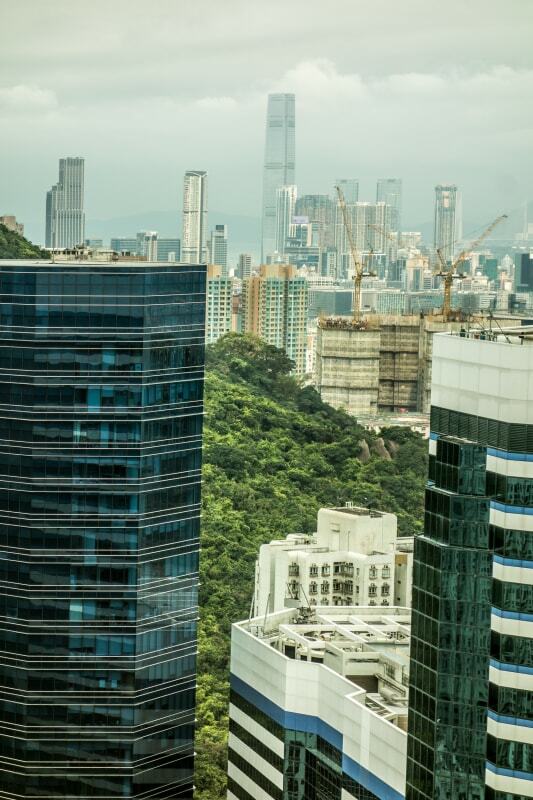 However, unless you live or work high up in one of the many buildings on Hong Kong Island, no official observation tower gives you the feeling of being right in the middle of that urban jungle that makes the city so unique. There are, however, sky lobbies. 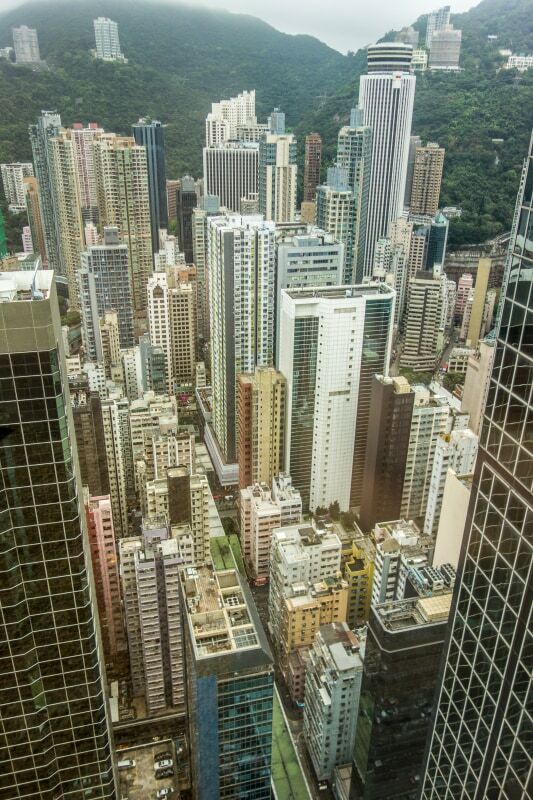 I visited two of these towers: the Central Plaza, in Wan Chai, and the One Island Eat, in Quarry Bay. Both offer an extraordinary perspective into their neighborhood. 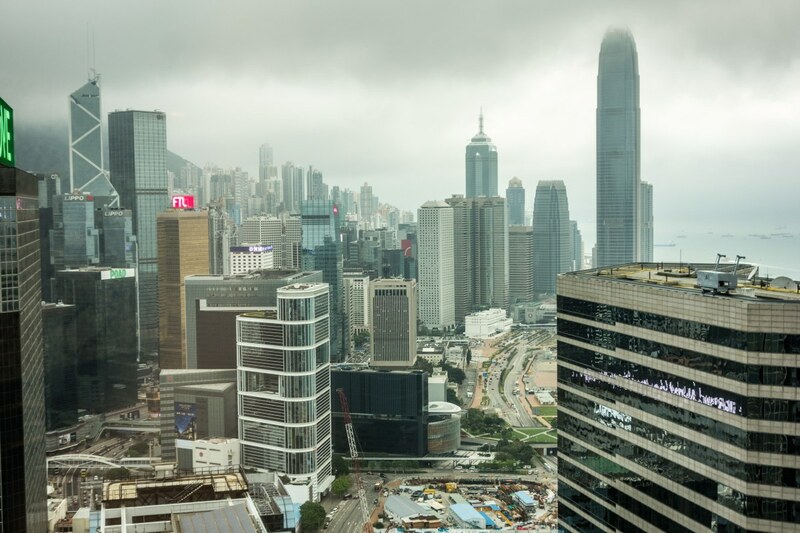 Another great tip from that article was the Hong Kong Monetary Authority Information Center on the 55th-floor of the Two IFC tower. 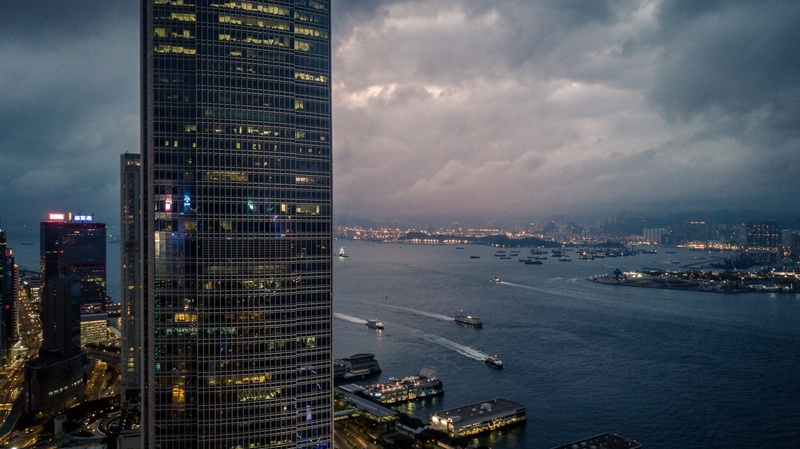 You can go check the view while learning about Hong Kong's financial health. The article mentions the Bank of China observation floor which, unfortunately, is no longer open for visits. Check this building in Part I of this Guide. The only way you can enter it is by visiting the Hong Kong Monetary Authority Information Center on the 55th-floor. It "introduces the work of the Hong Kong Monetary Authority and houses books, journals and other texts on central banking and related subjects." It had its exhibit recently renovated and is probably quite interesting. But you can assume most people come here for the view. I wonder why the developers did not include a public area on the tower tip, with observation decks and other functions. This building was for years the tallest in the city, and it would make a lot of sense to have it from day one. Thankfully this is a good alternative, as it's free and also quite high up. You have to present your ID at the reception on the ground floor to visit the HKMA Info Center. After that, go up and just enjoy the exh… er, the view. It is open from Monday to Friday (10 am to 6 pm) and on Saturdays (10 am to 1 pm). 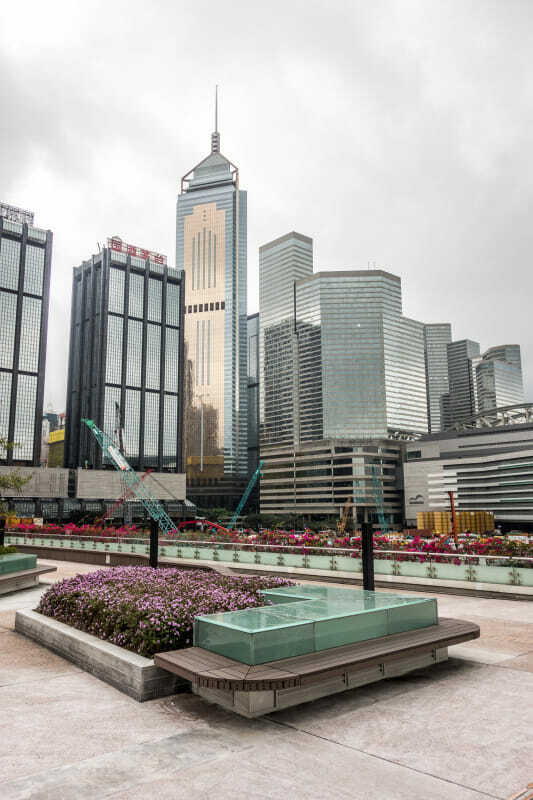 Located in the heart of Wan Chai, the Central Plaza is not a particularly exciting tower. Completed in the early 90s, its triangular floor plans lead to a pitched roof and an antenna on its top. The facade is composed of highly reflective blue and golden glass in a typical 90s tackiness. 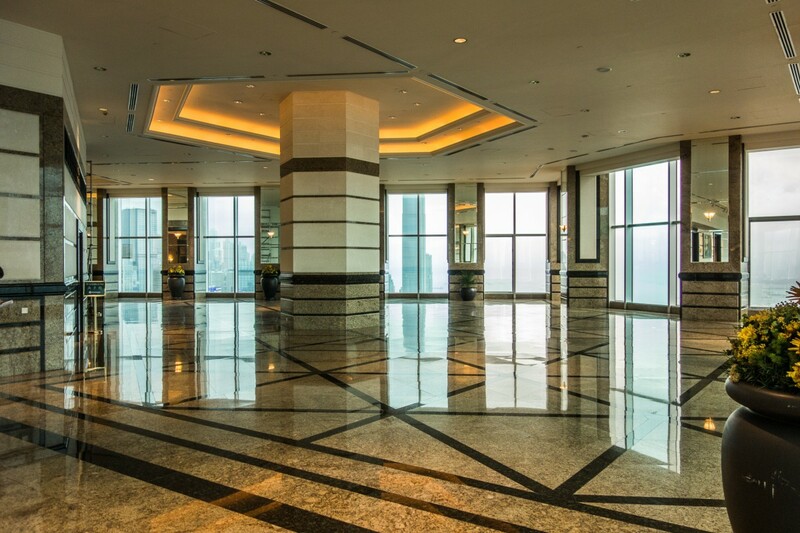 Its sky lobby on the 46th floor, however, offers fantastic, 360-degree views of the city. You can see Central to the West, the Central Government Offices to the North, the Happy Valley up the mountains on the south (see if you can spot Frank Gehry’s OPUS on the hill! ), and Causeway Bay to the east. The tower is also home to the Sky City Church , located on the 75th floor. Although not officially open to the public, you can always try to sneak in to check the view. As you enter the tower, just follow the signs for the elevator bays leading you up to the 46th-floor. The elevator will only have two buttons and, on the 46th-floor, you’ll be in a mostly empty space with tall windows for you viewing pleasure. The tower is open from Monday to Friday (8 am to 8 pm) and Saturday (8 am to 2 pm). A trip to Quarry Bay is justified for many reasons, the Montane Mansion and the One Island East being two of them. 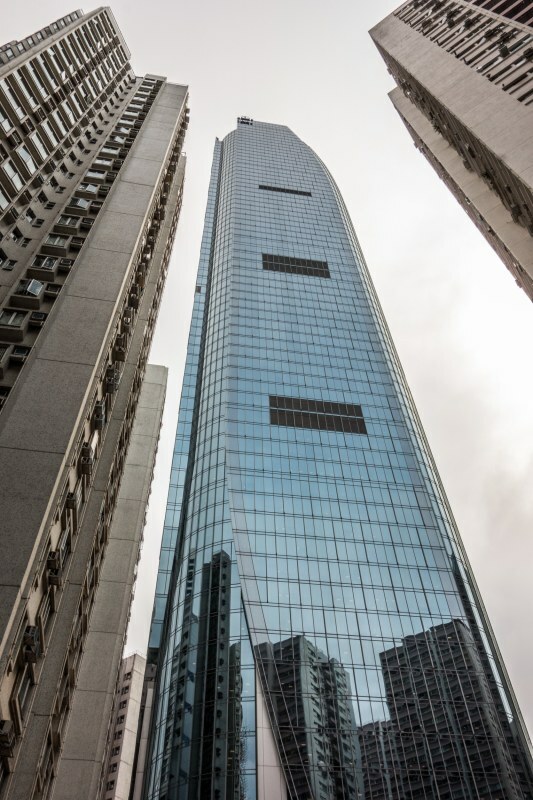 The latter is the tallest tower in the area, belonging to the Taikoo Place complex of shopping malls and other office high-rises. Its sky lobby on the 37th floor is a treat. You can have stunning views to the massive composite buildings in the neighborhood (spot the Montane Mansion down south! ), the Bay to the north and even a peek to Central in the far West. 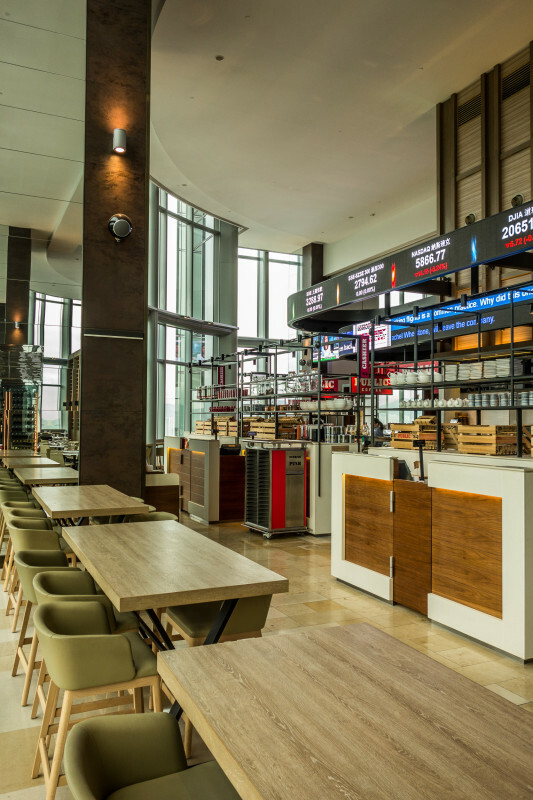 You can also have delicious coffee and great snacks in a large café located on the same floor. Come for the views, stay for the breakfast! Just take the elevator up to the 37th floor. Up there, enjoy the views and the coffee. It also offers lots of table and places to relax while looking down into the city. It is open from Monday to Friday (8 am to 7 pm) and on Saturdays (8 am to 2 pm).